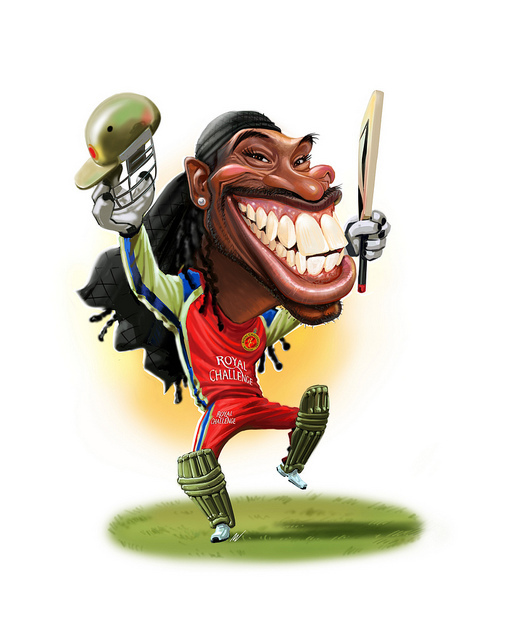 Chris Gayle played one of the most incredible innings on Tuesday night. His 175* (66) broke all sorts of records, both for the IPL and for t20 and cricket in general. He is without question an incredible player, and is an absolute phenomenon in the IPL. But how good was that innings in the context of the rest of the IPL? I heard some people say that it was meaningless, because the pitches and grounds in India are so easy to score runs on, and the bowlers in the IPL aren't up to much. I heartily disagree with both of these statements, but the only real way to look at the innings is to look at how others have gone in similar conditions. To do this I'm using my modified batting index for each innings. This system rewards scoring runs, and being not out, but adjusts it for the number of deliveries faced. To put these scores in context an index of 100 would be 70*(49) or 60(33). It doesn't take into account the context of the match, so there can be some high scores that cost a team, and low ones that win a match, but I think it's better than just looking at the runs scored or the strike rate by themselves. There's a significant distance between Gayle and the next best innings. How good was Gayle's innings? It was about 14% better than the next best innings ever. That's how good it was.